This is an invitation to come and play some Tai Chi in the Park on Sunday, 10th September from 10.30am to 11.30am. 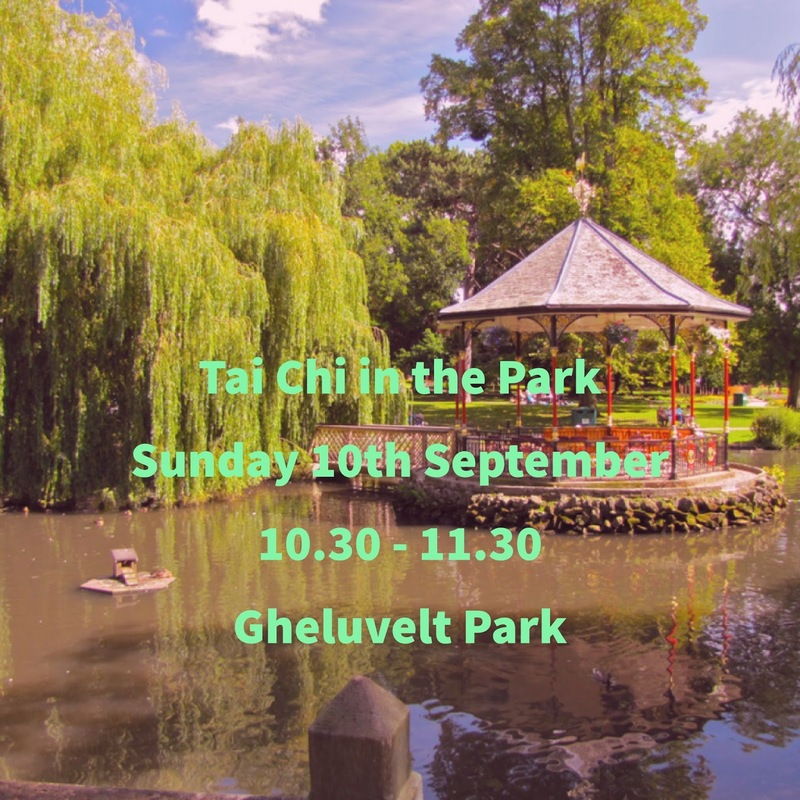 It’s a free Heartland Tai Chi event which is open to all whether you have experience of Tai Chi or none at all. Gheluvelt Park is situated in Barbourne, Worcester WR1 3EX. We’ll meet in the open area near to the tennis courts. I hope you can join us and that the weather is good. All my Heartland Tai Chi classes are going to re-start in the week beginning Monday, 11th September. If you've ever wondered about the benefits of Tai Chi then book yourself a free Tai Chi for Living Well taster class.